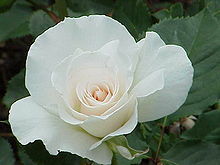 Die Weiße Rose [The White Rose] was a German resistance group whose members were imprisoned and executed during Hitler's reign for creating and distributing anti-Nazi leaflets. Nothing is so unworthy of a civilised nation as allowing itself to be governed without opposition by an irresponsible clique that has yielded to base instinct. It is certain that today every honest German is ashamed of his government. Who among us has any conception of the dimensions of shame that will befall us and our children when one day the veil has fallen from our eyes and the most horrible of crimes — crimes that infinitely outdistance every human measure — reach the light of day? Up until the outbreak of the war the larger part of the German people was blinded; the Nazis did not show themselves in their true aspect. But now, now that we have recognised them for what they are, it must be the sole and first duty, the holiest duty of every German to destroy these beasts. Many, perhaps most, of the readers of these leaflets do not see clearly how they can practice an effective opposition. They do not see any avenues open to them. We want to try to show them that everyone is in a position to contribute to the overthrow of this system. Though we know that National Socialist power must be broken by military means, we are trying to achieve a renewal from within of the severely wounded German spirit. This rebirth must be preceded, however, by the clear recognition of all the guilt with which the German people have burdened themselves, and by an uncompromising battle against Hitler and his all too many minions, party members, Quislings, and the like. With total brutality the chasm that separates the better portion of the nation from everything that is opened wide. For Hitler and his followers there is no punishment on this Earth commensurate with their crimes. But out of love for coming generations we must make an example after the conclusion of the war, so that no one will ever again have the slightest urge to try a similar action. Freedom and honour! For ten long years Hitler and his coadjutor have manhandled, squeezed, twisted, and debased these two splendid German words to the point of nausea, as only dilettantes can, casting the highest values of a nation before swine. They have sufficiently demonstrated in the ten years of destruction of all material and intellectual freedom, of all moral substance among the German people, what they understand by freedom and honour. The frightful bloodbath has opened the eyes of even the stupidest German — it is a slaughter which they arranged in the name of "freedom and honour of the German nation" throughout Europe, and which they daily start anew. Variant translation: Our People stand shocked in front of the downfall of the men of Stalingrad. Three hundred thousand men were hounded into death and doom without sense or responsibility by the work of the world-war private. Führer, we thank you! Alice Miller on Sophie and Hans Scholl's resistance to the social engineering of the Nazi regime, in Thou Shalt Not be Aware (1984).